China Flag image for printout, free download and activities for students. The flag of the People's Republic of China is a large golden star within an arc of four smaller golden stars, in the canton, on a field of red. 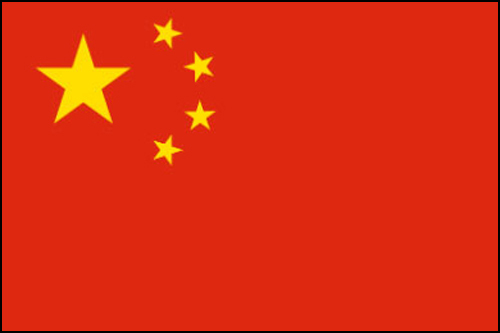 The official China flag was adopted on September 27, 1949.